On Thursday, November 3, Dr. Norman Braveman, Miami alumnus, former senior member of the National Institutes of Health (NIH) extramural program, and current current President of Braveman BioMed Consultants, spoke with faculty in Miami University’s Department of Psychology about applying for funding from the NIH. This is the second of two reports summarizing Dr. Braveman’s advice. You can read the first one here. In order to maximize grant success, Braveman suggested beginning each proposal with an explicit statement on the purpose of the proposed study, beginning, “The purpose of the proposed study is . . .” Beginning with a brief lead in and moving quickly to the aims of the proposal will help the writer keep focused on the purpose of the proposal and will make the purpose clear to the reviewers. Following the intro and specific aims (i.e., objectives), should be a hypothesis and an explanation of how the investigator plans to test the hypothesis (i.e., approach or methods). Using the specific aims as a guide, the methods and analysis should flow naturally from the project’s objectives. One strategy for successful proposal writing Braveman shared is the concept paper. A concept paper will help elucidate the problem/issues to be addressed and can help to identify gaps that need to be addressed. Like the specific aims, the concept paper can help focus proposal writing and can be used as a tool to facilitate discussion with a sponsor prior to proposal submission. Project Purpose – What are the objectives of the proposed study? Problem/Background – Why does this topic need to be studied? What gaps or clarifications in the field need to be addressed? Significance – Why is this study important to the field? What impact will the outcomes have on people, processes, and so on? Aims – What hypotheses will be tested to address the problem? Design/Analysis – What approach will be used to test the hypotheses and why? Team – What roles will key participants play and what experience do they have? In terms of grantsmanship and writing protocol, Braveman emphasized language, style, and organization in grant writing. “You aren’t writing a poem,” Braveman reminds us. The language and style must match the reviewers’ expectations. Additionally, organization is key. Points should be linear and logical so that the reviewer knows where the writer is going with the proposal and can follow the logic of the argument. Braveman also warned against including extraneous material. “Address only the criteria that reviewers will use to assess your application,” he said. On the other hand, Braveman warns, “If you don’t write it, it doesn’t exist for the reviewer.” In other words, no reviewer can read your mind. Peer review is a judgment, not a tutorial. You should not submit a working draft as a final proposal. Don’t fall in love with your drafts because drafts are meant to be replaced with something better. Stair step photo by Jared Tarbell via Flickr, used under Creative Commons license. 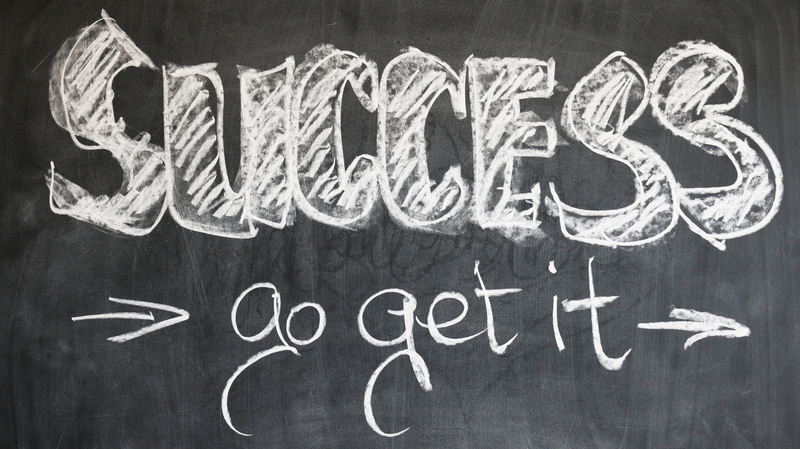 “Success” photo by Gerd Altmann, via Pexels, public domain. This entry was posted in Grantwriting and tagged grantsmanship, grantwriting, NIH, proposals. Bookmark the permalink. In Part 2 of Dr. Norman Braveman’s presentation (reblogged from Miami University’s Office for the Advancement of Research and Scholarship) , the NIH extramural funding program alum shares the value of the concept paper. If you are serious about developing your granstmanship but are unfamiliar with the concept paper, read on.